Every now and then I bust out with the crafty, it’s usually out of need for a solution to a problem. This time happened to be about the state of the car. It is near impossible to keep a car clean with four kids, unless you are super-de-duper clean, like you need it clean to be able to think and breathe. I’m not exactly in that crowd but the mess gets on my nerves when it starts to cover the floor. 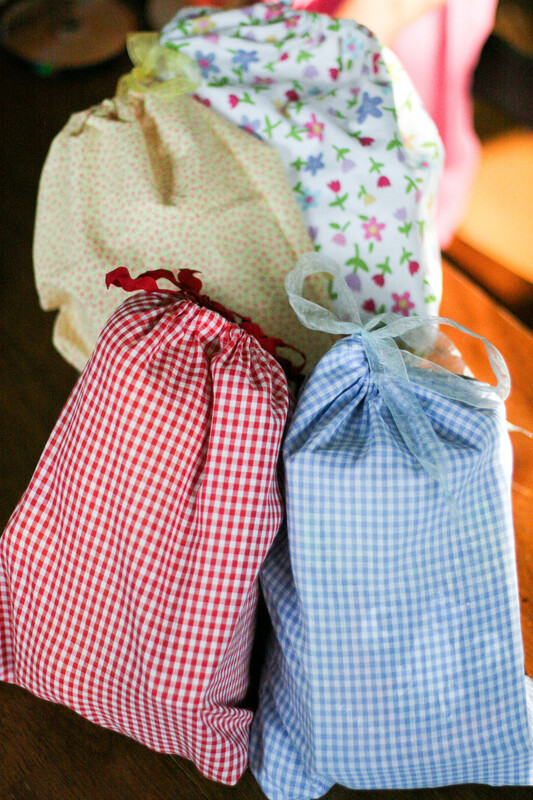 Hello, car bags…I bought some sheets that I was going to turn into pillows and curtains, they came in an adorable little pouch. After Lucy trying to hustle me for the 57,000th time to take even more junk into the car, I gave her the bag and told her she could take whatever she wanted as long as it fit in the bag. Josiah was close by and asked if he could have a bag too. Before I knew it I was making car bags while the fabric for curtains and pillows got tossed aside. I get sidetracked so easily. 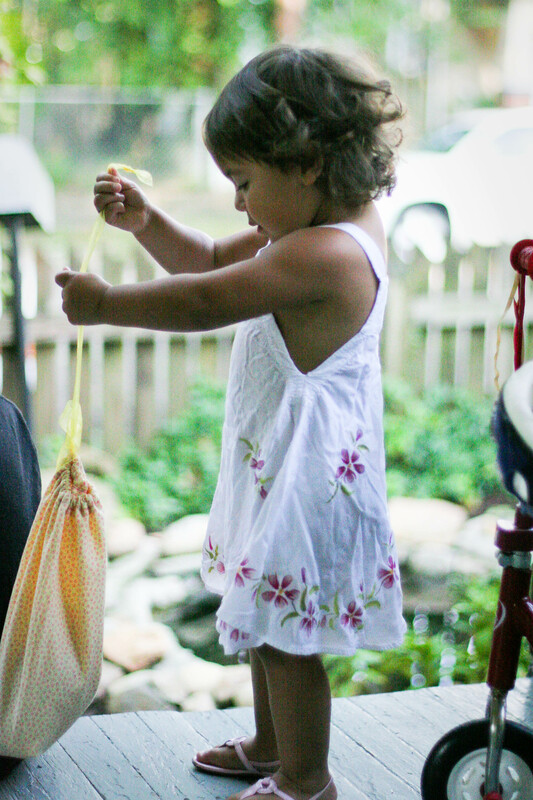 I’m a straight line sewing kind of girl…so this was pretty easy peasy. So if you have a messy car and a savvy four year old, you can make some car bags too. My favorite part about a road trip as a child were the car bags- these are so cute! Almost as cute as the precious dress that Lucy is wearing! Where is it from? Did you make it too? What a neat solution, love those. I love them. That is my kind of crafty, I must say. And I bet my car would thank me. So lovely! I hope the machine is behaving! how could i forget mentioning the machine!!! thank you loads for lending her to me…she’s been lovely and used. a lot!!! bring it back very soon, i promise. thanks Ann! I find them beautiful! Such a creative idea! Loved the way you adapted to the need of the children whilst fixing them limits and making the whole of it fun!